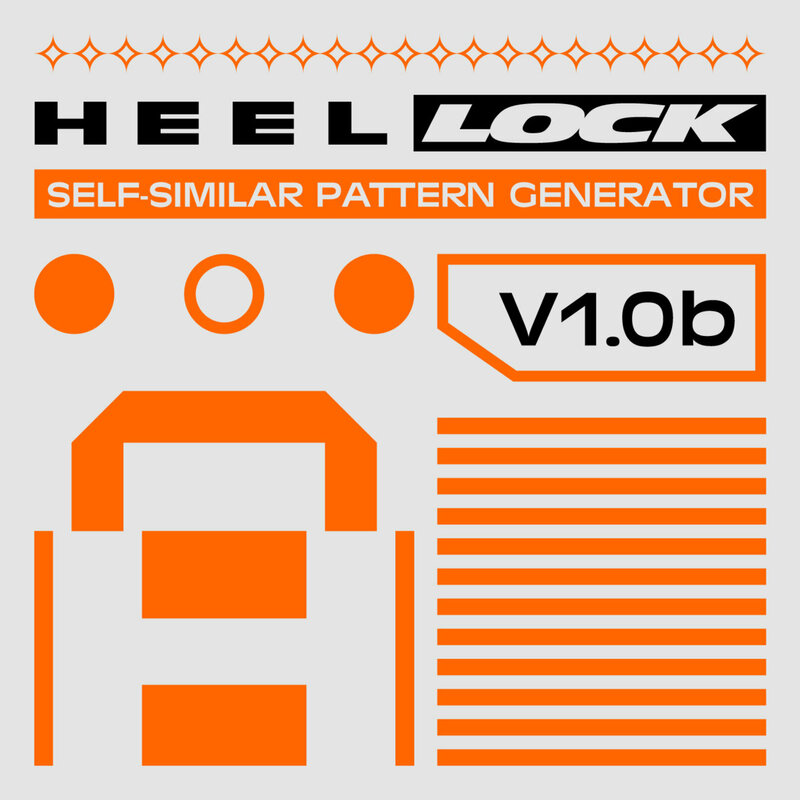 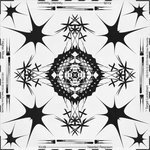 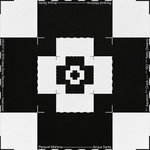 LOCK v1.0b | SELF-SIMILAR PATTERN GENERATOR. 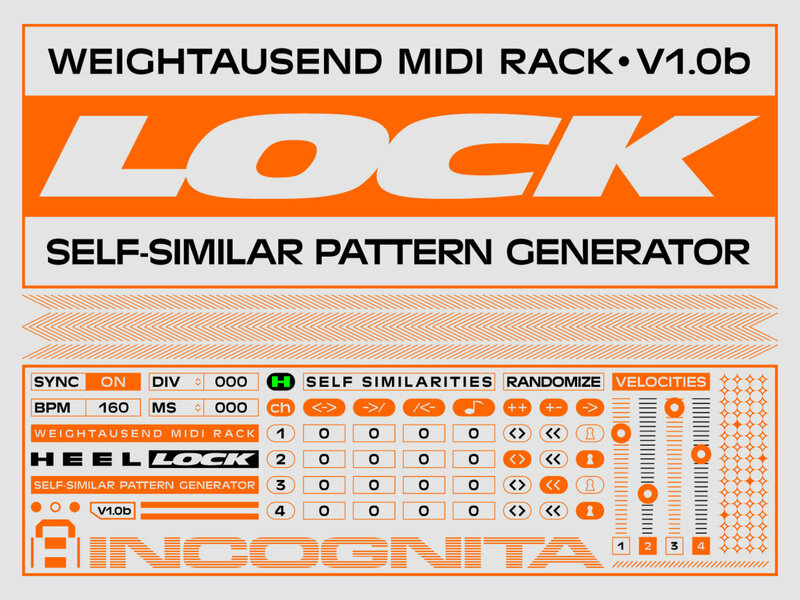 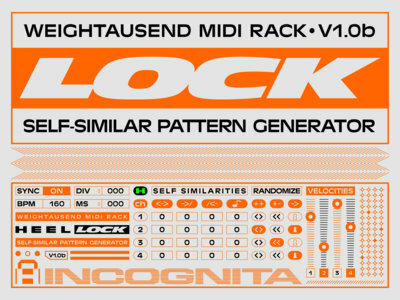 LOCK is a 4 channel pseudo-random sequencer which generates patterns computing fractional tempos between two given values. 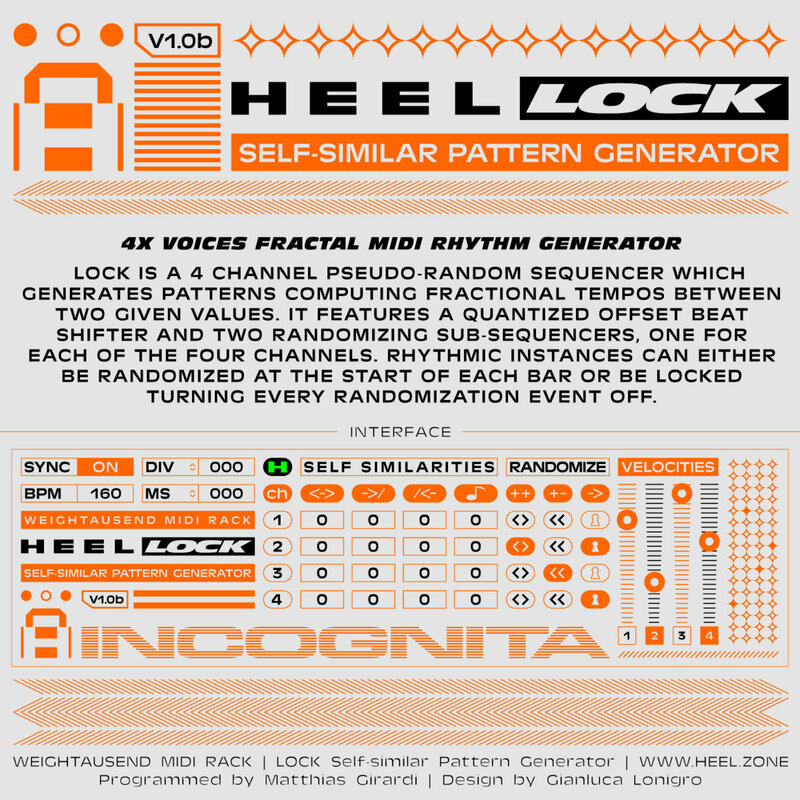 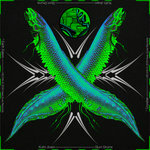 It features a quantized offset beat shifter and two randomizing sub-sequencers, one for each of the four channels. 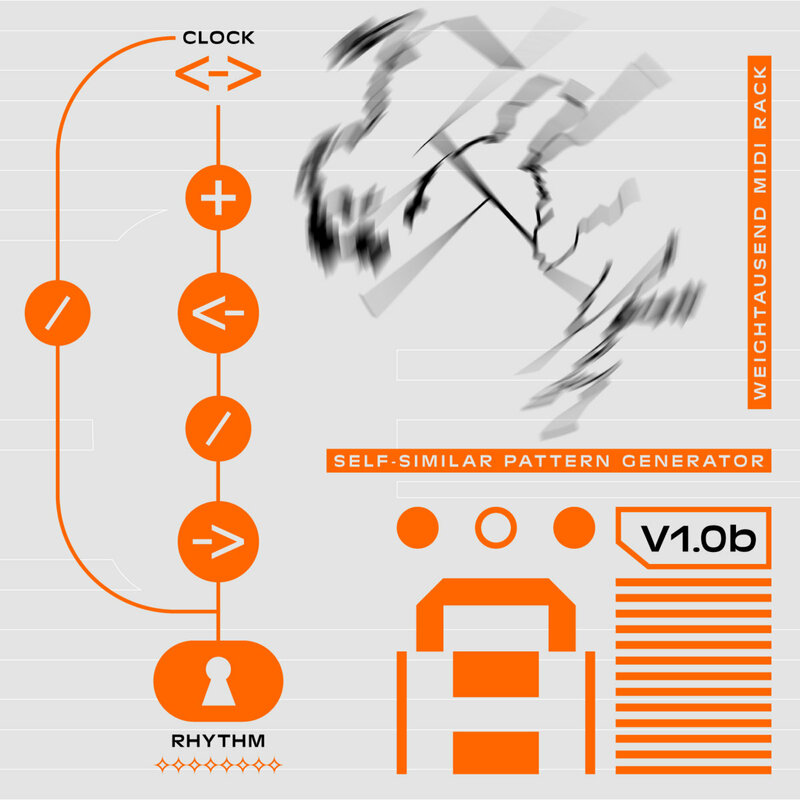 Rhythmics can either be randomized at the start of each bar or be locked turning every randomization event off.